Pat Robertson thinks the IRS is wrong to rescind the tax-exempt status of Bob Jones University because of an interracial dating ban at the school. On today’s episode of 700 Club, Robertson expressed concern that the government would take that position. “Bob Jones never prohibited men and women of different races from getting married,” Robertson said…. 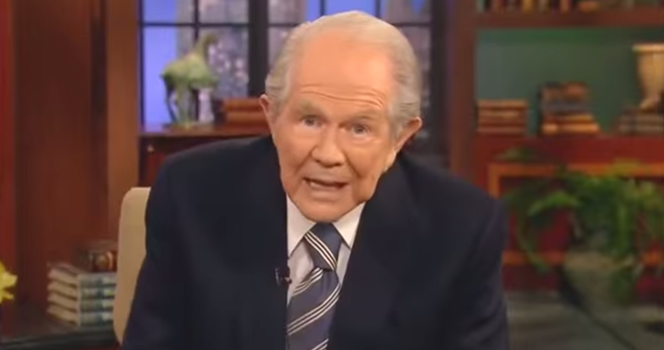 The post Pat Robertson: Interracial Bans Should Get Schools Tax-Exempt Status, If It’s Because of the Bible appeared first on . This guy always makes me laugh.. He’s better than the other comedians on telly.